I went to a hella exciting event a couple of weeks ago: an exclusive BAFTA screening of the new restoration of Michael Powell’s Peeping Tom, with introductions from Thelma Schoonmaker (! 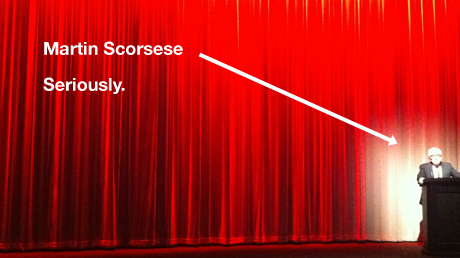 ), Martin Scorsese (!!) and film scholar Ian Christie (?). All proved fascinating, although their dedications were so hyperbolic that it seemed the film could only seem underwhelming by comparison. Fortunately for all involved, it doesn’t. Fifty years after its initial release, it’s still a bizarre, thought-provoking and surprisingly tense watch, and this new restoration delivers a remarkable level of depth and clarity for a film that sat dormant for so many years. The film is released nationwide this Friday (against the might of Potter) so your best bet is to seek it out at arthouses across the country if you want to experience it to the fullest extent possible. In London you’re looking at Curzon Mayfair, Ritzy, Greenwich Picturehouse and that HMV thing in Wimbledon. Otherwise feel free to have a little look here. Essentially an updated version of Optimum’s 2007 DVD release (and with a lot of the same standard definition extra material), this new Blu-ray offering does at least boast a bee-ay-oo-tea-ful transfer, a properly represented 1.66:1 aspect ratio and some very pretty packaging indeed. Plus there’s over five minutes of split-screen restoration comparison footage, which might come in useful if you decide to open a Dixons franchise and need something to show on the display tellys.